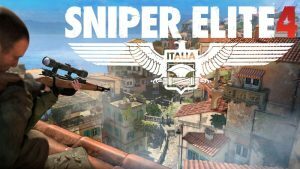 The 4th game in the Sniper Elite series had a launch trailer released today showing off a set piece and of course the release date for the game, which is February 14th. The story of this game is set in Italy in the year 1943. The plot immediately follows Karl Fairburne siding with Italian resistance against the Fascists during WW2. Not only that, but there is a pre-order bonus, in the form of the DLC campaign with the name Target: Führer. This DLC will also bring camouflage wraps for all seven of Sniper Elite 4’s starting rifles for use in any singleplayer, co-op or multiplayer mode. The game on released on Steam and it will set you back with £29.99 or $34.99. And the DLC will also be available at launch.